The Manchester Oval Ottoman is a chesterfield style ottoman available in your choice of leather. Its construction is of a hardwood and plywood frame. This classic chesterfield foot stool is available in a wide range of colours. The Manchester oval foot stool is the perfect complement to the Manchester sofa, or any of the range of chesterfield loungesthat are available through Chesterfield Lounges .com.au. The Manchester chesterfield oval foot stool is manufactured with a hardwood and ply wood frame and has a fully buttoned top. The Manchester chesterfield oval ottoman has been sold to customers as diverse as bars, clubs and hairdressers. It is perfect for either putting your feet up, or as extra seating if that is a requirement. For a little added cost we can re-inforce the frame so there are no issues regarding the weight of individuals breaking the ottoman. The Manchester chesterfield footstool is available in a variety of leather from the traditional washed off burgandy, washed off brown and washed off green. You can also get it produced in a solid colour such as chocolate, black or navy. 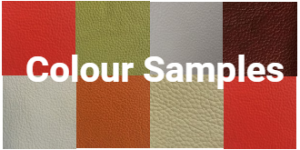 There are many different options regarding colour and covering choice. Perhaps you would like to have it produced in your own fabric, or choose from the huge selection of Warwick or Mokum fabrics. You may also want to match a Manchester oval ottoman with a current chesterfield lounge suite you already own. If that is the case we will try to match it as close as possible. Unfortunately, each piece is individually hand washed off, so they are all hand built and are uniquely different. Despite that we can send a photo to our manufacturer and ask them to match it as closely as possible to your current suite. The Manchester foot stool is also available in a square shape. Whatever your preference you can find it here at Chesterfield Lounges .com.au. Don't be limited by what the retailer wants to sell you. The choice you have with Chesterfield Lounges .com.au is large and is definitely the place to shop for 100% leather chesterfields. The Manchester Oval ottomanis buttoned and because of this it retains its classical style and elegance. You may never find another chesterfield ottoman or chesterfield foot stool that has the perfect combination of structural strength and classic style.